In our role as the Merseyside and Cheshire STEM Ambassador Hub, we’d like to promote a great programme managed by STEM Learning. 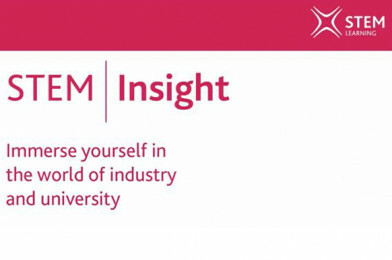 The STEM Insight programme offers staff in schools and colleges a unique chance to experience STEM-related work in industrial or university settings. We are hoping to recruit some employers in our area who may be able to support the STEM Insight programme by hosting a teacher for a 5-day work placement to give them valuable experience of the world of work to take back to the classroom. You can download an Employer Guide to the programme that gives a better sense of what is required of a company offering to host a placement. If you think your company may be able to offer a placement, please contact [email protected].